This week has been snowy. At night, the snow really catches the light, and there have been white nights. Not the same effect as a few degrees further North, where the sun doesn't actually set for very long, but it looks the same. 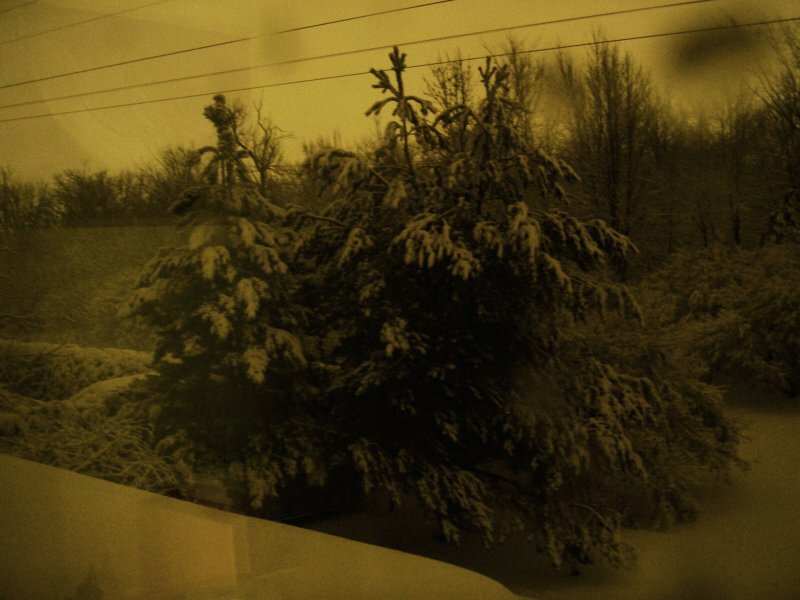 I managed to take a photo out of my window at 2 a.m. without any special treatment; it was very bright outside. At this point, two exams are down, three to go. The first, Software Engineering, which everyone expected would be impossibly difficult, was actually fairly straightforward. I feel I did well on it. Today, I had my Baroque music exam, and it didn't feel as good. 50% of the exam was identifying music played during the exam, and various facts associated with those pieces. Then there were two essays; by the time I got to the second one, my brain was not functioning. This exam was probably not written very well.